**NO ONWARD CHAIN** An IMMACULATELY presented and SUBSTANTIAL FIVE BEDROOM property situated in a POPULAR Redhouse location. The property offers SUPERB living accommodation which has been HIGHLY IMPROVED by the current owners. This property would be ideal for an investment opportunity and has recently been recently REFURBISHED, including NEW CARPETS throughout. 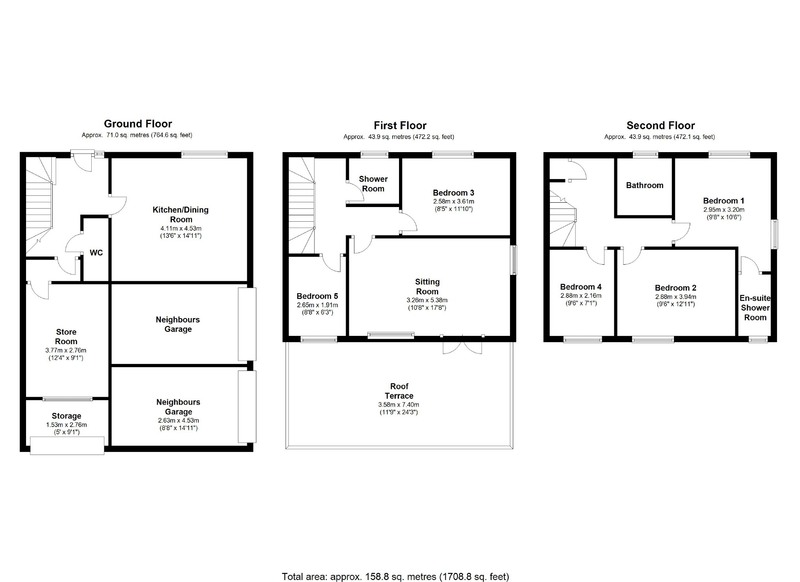 Accommodation comprises of; Generous modern kitchen/diner with range of units, downstairs WC, and large integral garage. To the first floor there is a spacious living room with French doors leading to a substantial decked roof terrace, two bedrooms, one of which a double and a shower room. The second floor includes a modern family bathroom, the master with ensuite shower room, one large double and a single bedroom. The home itself is situated in a popular Redhouse location, close to local shops, schools and amenities. Furthermore, the home is offered for sale with NO ONWARD CHAIN.